Cake Mix Recipe 2. Piecing Made Easy! 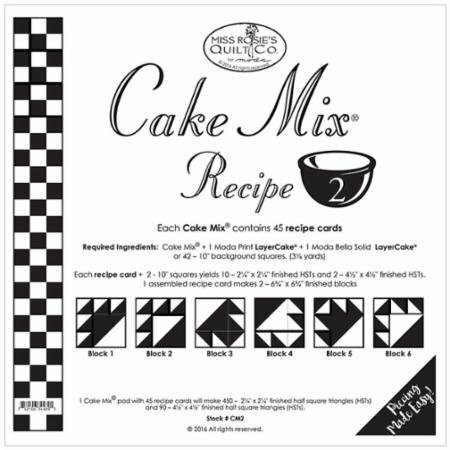 Each Cake Mix Pad with 45 recipe cards will make 45 - 8" half square triangles and 180 - 4" finished half square triangles. Paper Piecing. Foundations Piecing.